英文摘要：Toll-like receptors (TLRs) and antimicrobial peptides are important components of the host natural immune system and are an important barrier to prevent harmful microorganisms or viruses. Wujin pig, Qingyu pig and Chenghua pig are the well-known Chinese unique local subspecies of pig breed, and they own the merits of high fertility and strong disease resistance. In this study, the innate immunity characteristics of 8-month-old Wujin pigs, Qingyu pigs, Chenghua pigs and Yorkshire pigs were compared by using the local immune tissues and systemic immune organs. Real-time fluorescent quantitative PCR was used to detect the expression levels of TLRs (TLR1, TLR2, TLR4, TLR7 and TLR9) and antimicrobial peptide-encoding genes (pBD-1 and PR-39) in thymus, spleen, amygdala, mesenteric lymph node and hilar lymph nodes. The results showed that compared to the control pigs, the expression levels of TLR7 and PR-39 in the thymus, TLR4 and TLR7 in the spleen, TLR4 and TLR9 in the mesenteric lymph nodes, and TLR1, TLR4, TLR7 and TLR9 in the hilar lymph nodes were significantly higher (P<0.05) in Chenghua pigs; the expression levels of TLR1 and TLR9 in the thymus, TLR1, TLR2, TLR4, TLR7, TLR9 and pBD-1 in the tonsils, and TLR7 in the mesenteric lymph nodes of Wujin pig were significantly higher than those in other pig breeds (P<0.05); the expression of PR-39 gene in the tonsils and mesenteric lymph nodes of Qingyu pigs was significantly higher than those in other pig breeds (P<0.05). These results provide useful clues for further screening the disease-resistant molecular markers of local pig hybrid breeding. 安沙, 韩菲菲, 高彦华, 等. 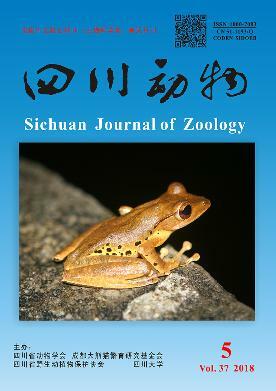 2011. β-防御素在金华猪和长白猪肠道中表达规律的研究[J]. 动物营养学报, 23(10):1762-1768. 何小兵, 房永祥, 贾怀杰, 等. 2011. Toll样受体介导的先天性抗病毒免疫反应研究进展[J]. 细胞与分子免疫学杂志, 27(6):709-712. 江学斌, 陈嘉蔚, 杨军, 等. 2016. 猪源抗菌肽PBD-1在毕赤酵母中的表达及鉴定[J]. 中国畜牧兽医, 43(3):644-649. 卢顺, 高其双, 刘武, 等. 2015. 猪PBD-1在4种器官组织中的表达[J]. 当代畜牧, 24:63-65. 全佳慧, 姜宁, 张爱忠, 等. 2016. Toll样受体及其对肠粘膜免疫的调节作用[J]. 动物营养学报, 28(1):43-49. 吴圣龙, 包文斌, 鞠慧萍, 等. 2008. 野猪和16个国内外猪种Mx1基因第14外显子多态性分析[J]. 畜牧兽医学报, 39(3):257-261. 宴家友, 张纯, 唐凌, 等. 2013. 抗菌肽PG的研究进展[J]. 中国畜牧兽医, 40(7):195-197. 张秀林, 魏小兵, 欧长波, 等. 2017. 益生菌发酵饲料对仔猪生长和免疫功能影响的研究进展[J]. 中国畜牧兽医, 44(2):476-481. Andreu D, Rivas L. 2015. Animal antimicrobial peptides:an overview[J]. Biopolymers, 47(6):415-433. Aono S, Li C, Zhang G, et al. 2006. Molecular and function characterization of bovine β-defensin-1[J]. Veterinary Immunology & Immunopathology, 113(1-2):181-190. Bechinger B, Gorr SU. 2017. Antimicrobial peptides:mechanisms of action and resistance[J]. Journal of Dental Research, 96(3):254-260. Cesta MF. 2006. Normal structure, function, and histology of the spleen[J]. Toxicologic Pathology, 34(5):409-424. Chen Q, Zhou Z, Shan L, et al. 2015. The importance of Src signaling in sarcoma[J]. Oncology Letters, 10(1):17-22. Du Y, Du T, Shi Y, et al. 2016. Synthetic Toll-like receptor 7 ligand inhibits porcine reproductive and respiratory syndrome virus infection in primary porcine alveolar macrophages[J]. Antiviral Research, 131:9-18. Hajishengallis G, Lambris JD. 2016. More than complementing Tolls:complement-Toll-like receptor synergy and crosstalk in innate immunity and inflammation[J]. Immunological Reviews, 274(1):233-244. Holani R, Shah C, Haji Q, et al. 2016. Proline-arginine rich (PR-39) cathelicidin:structure, expression and functional implication in intestinal health[J]. Comparative Immunology, Microbiology and Infectious Diseases, 49:95-101. Holt PG, Strickland DH, Wikstrom ME, et al. 2008. Regulation of immunological homeostasis in the respiratory tract[J]. Nature Reviews Immunology, 8(2):142-152. Ignacio G, Nordone S, Howard KE, et al. 2005. Toll-like receptor expression in feline lymphoid tissues[J]. Veterinary Immunology & Immunopathology, 106(3-4):229-237. Jiao W, Ma Q, Lv X, et al. 2017. Gene expression and tissue distribution of β-defensins in Chinese Min pigs and Landrace pigs[J]. Czech Journal of Animal Science, 62(4):178-183. Kawai T, Akira S. 2010. The role of pattern-recognition receptors in innate immunity:update on Toll-like receptors[J]. Nature Immunology, 11(5):373-384. Kirstilä V, Tenovuo J, Ruuskanen O, et al. 1996. Longitudinal analysis of human salivary immunoglobulins, nonimmune antimicrobial agents, and microflora after tonsillectomy[J]. Clinical Immunology & Immunopathology, 80(2):110-115. Kuzemtseva L, Mateu E, Darwich L. 2014. Expression of Toll-like receptor 9 (TLR9) in the lungs and lymphoid tissue of pigs[J]. Veterinary Journal, 203(2):259-261. Leifer CA, Medvedev AE. 2016. Molecular mechanisms of regulation of Toll-like receptor signaling[J]. Journal of Leukocyte Biology, 100(5):927-941. Lesmeister MJ, Bothwell MR, Misfeldt ML. 2006. Toll-like receptor expression in the human nasopharyngeal tonsil (adenoid) and palantine tonsils:a preliminary report[J]. International Journal of Pediatric Otorhinolaryngology, 70(6):987-992. Lu Y, Li X, Liu S, et al. 2018. Toll-like receptors and inflammatory bowel disease[J]. Frontiers in Immunology, 9:72. DOI:10.3389/fimmu.2018.00072. Mansson A, Adner M, Cardell LO. 2006. Toll-like receptors in cellular subsets of human tonsil T cells:altered expression during recurrent tonsillitis[J]. Respiratory Research, 7(1):1-10. Petes C, Odoardi N, Gee K. 2017. The Toll for trafficking:Toll-like receptor 7 delivery to the endosome[J]. Frontiers in Immunology, 8:1075. DOI:10.3389/fimmu.2017.01075. Pruthviraj DR, Usha AP, Venkatachalapathy RT. 2016. Identification of a novel single nucleotide polymorphism in porcine beta-defensin-1 gene[J]. Asian-Australasian Journal of Animal Sciences, 29(3):315-320. Qi S, Chen J, Guo R, et al. 2009. β-defensins gene expression in tissues of the crossbred and Tibetan pigs[J]. Livestock Science, 123(2-3):161-168. Sang Y, Patil AA, Zhang G, et al. 2006. Bioinformatic and expression analysis of novel porcine beta-defensins[J]. Mammalian Genome, 17(4):332-339. Shao LL, Fischer DD, Kandasamy S, et al. 2016. Tissue-specific mRNA expression profiles of porcine Toll-like receptors at different ages in germ-free and conventional pigs[J]. Veterinary Immunology & Immunopathology, 171:7-16. Sinkora M, Butler JE. 2009. The ontogeny of the porcine immune system[J]. Developmental and Comparative Immunology, 33(3):273-283. Teixeira LD, Silva ON, Migliolo L, et al. 2013. In vivo antimicrobial evaluation of an alanine-rich peptide derived from Pleuronectes americanus[J]. Peptides, 42(4):144-148. Thakur KK, Bolshette NB, Trandafir C, et al. 2015. Role of Toll-like receptors in multiple myeloma and recent advances[J]. Experimental Hematology, 43(3):158-167. Yang D, Chertov O, Oppenheim JJ. 2001. Participation of mammalian defensins and cathelicidins in anti-microbial immunity:receptors and activities of human defensins and cathelicidin (LL-37)[J]. Journal of Leukocyte Biology,69(5):691-697. Yu LL, Feng ZW. 2018. The role of Toll-like receptor signaling in the progression of heart failure[J]. Mediators of Inflammation, (6):1-11. Zaidi AH, Kelly LA, Kreft RE, et al. 2016. Associations of microbiota and toll-like receptor signaling pathway in esophageal adenocarcinoma[J]. BMC Cancer, 16(1):1-10.